Looking for a quick and delicious dish for your next fiesta? 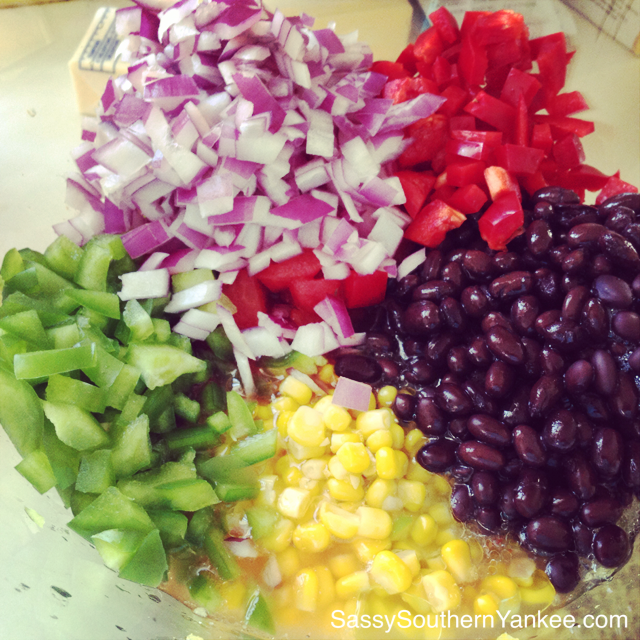 This simple sassy salsa can be made in 10 min or less, and is sure to be a hit. My friend Laura brought this over for a party a few years ago and now its one of my favorite summer go to dishes. It’s great with tortilla chips, or served over some grilled chicken. I made this last summer for a girls weekend, and it disappeared before my eyes. The nice thing about the simple sassy salsa is you don’t have to keep it cold it so its BBQ friendly, and its a healthy alternative to those dairy based chip dips. Feel free to make the salsa ahead of time the flavors really blend together after a night in the fridge. In a large bowl combine the zesty Italian dressing packet, oil, vinegar and water (Don’t let the Italian dressing fool you, just trust me for a min this will be amazing). Use a whisk to stir until the dressing is combined. Chop all of the vegetables and add them to the bowl. Drain and rinse all of the canned vegetable and add them to the bowl. Stir until well combined and then place in fridge for 30 min or overnight. Simple sassy salsa is the perfect partner in crime to the backyard margarita 😉 Umm I mean Cinco De Mayo Party. *serve with your favorite tortilla chips. 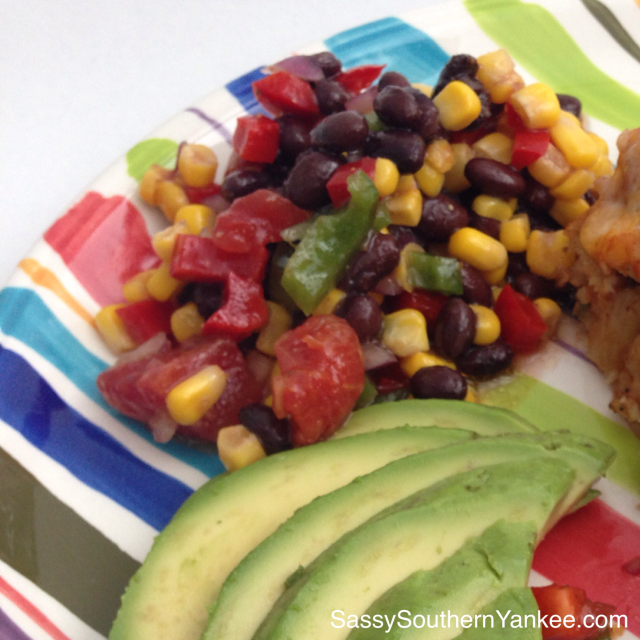 Looking for a quick and delicious dish for your next fiesta? This simple sassy salsa can be made in 10 min or less, and is sure to be a hit. 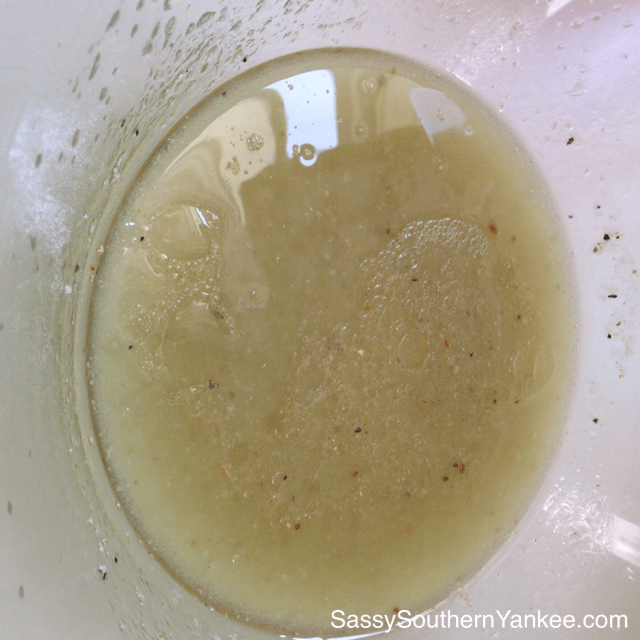 In a large bowl combine the zesty italian dressing packet, oil, vinegar and water. Use a whisk to stir until the dressing is combined. This entry was posted in Side Dish and tagged black beans, corn, Green Onions, Green Pepper, italian dressing, Onion, red pepper, tomatoes.